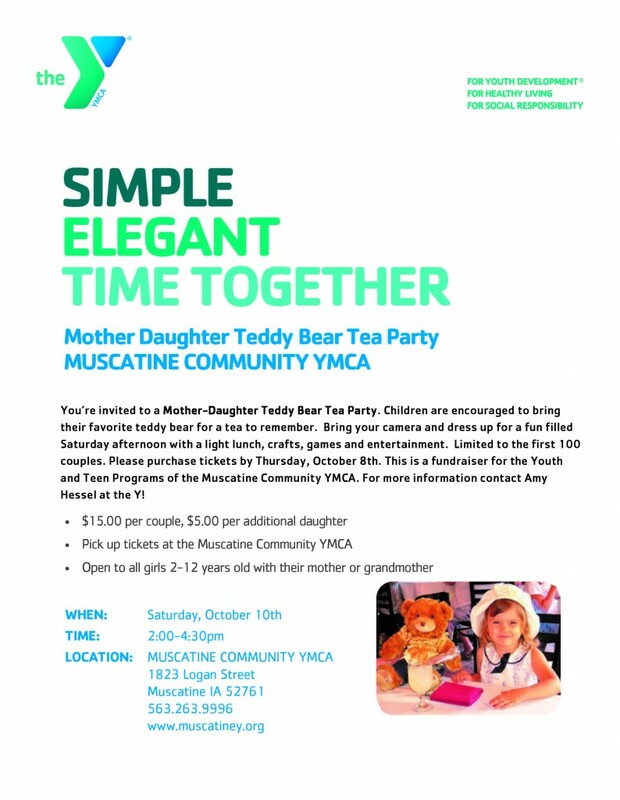 You’re invited to a Mother-Daughter Teddy Bear Tea Party. Children are encouraged to bring their favorite teddy bear for a tea to remember. Bring your camera and dress up for a fun filled Saturday afternoon with a light lunch, crafts, games and entertainment. Limited to the first 100 couples. Please purchase tickets by Thursday, October 8th. 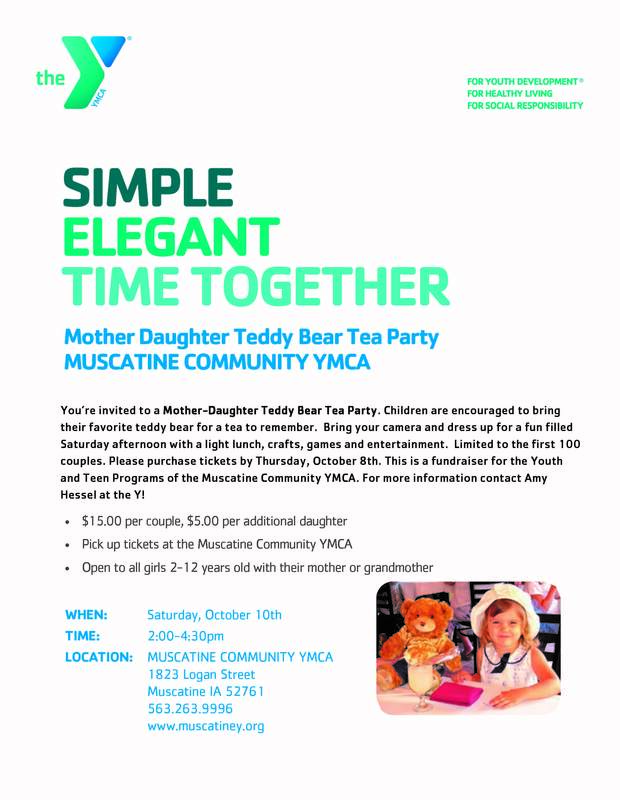 This is a fundraiser for the Youth and Teen Programs of the Muscatine Community YMCA. Pick up tickets at the Muscatine Community YMCA. Open to all girls 2-12 years old with their mother or grandmother. For more information contact Amy Hessel at the Y!